I have a little concern lately about the environment so I must say a few things about it. Tankless water heaters are considered by many experts to be an excellent way to reduce the homeowner’s carbon footprint. In fact, they may be the most environmentally friendly solution for heating water for your home. The installation of a tankless water heater can result in reduced energy consumption and less waste hauled to the local landfill. This could mean a great reduction in your carbon footprint! 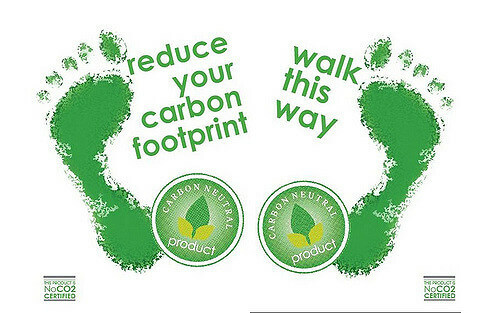 Your carbon footprint is the amount of environmental impact any person makes on the Earth during his or her lifespan. Normally, this is calculated in the amount of greenhouse gas that is emitted into the environment due to the person’s life choices. For example, a person can reduce their carbon footprint by composting his coffee grounds instead of throwing them in the garbage, telecommuting to work instead of driving the car, or purchasing reusable shopping totes for her weekly grocery shopping. Certainly, all of those actions are commendable! However, those are daily decisions. Environmentally friendly, sustainable choices should be a consideration in what is probably your longest-term investment: your home! In fact, you should consider your carbon footprint when you are making upgrades to your home or planning to remodel. The are a fantastic way to make your home more Earth friendly! In fact, some would argue that an investment in a these units is an investment into long-term sustainability. Who can disagree with that? You will be amazed at the energy savings! A tankless water heater will make your home more energy efficient. This is because it will deliver you hot water on an as needed basis. You will also hear this referred to as hot water on demand. This means that the water will heat only when you need it. Therefore, the heating element will only run when you turn the water on at the tap. The water will run across a heating element and heat up the water only as you need it. This is in direct opposition to the old style hot water tanks. The hot water tank works by keeping water stored inside the tank heated to a pre-set temperature all the time. This means that the hot water tank constantly heats water. It can’t determine if you are at home or away, it just keeps heating all the time. This energy savings, alone, makes it a smarter choice to help you reduce your carbon footprint. They also takes up far less space in the landfill. First, is the obvious size difference. It is far smaller in size than the hot water tank. But that’s not really the big reason that it creates less landfill waste. 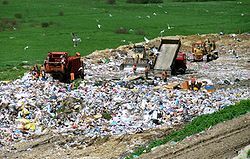 Here’s the big reason that they use less space in the landfill: it has a far longer life cycle than a hot water tank. A hot water tank has a life expectancy of only 7 to 10 years. Thus, every 7 to 10 years you will dispose of this style of water heater. On the other hand, a tankless type heater is expected to last 15 to 20 years. This is partially because the heater does not run constantly; therefore, that element does not get worn out as quickly. If a homeowner stays in his home for 50 years, he will dispose of a hot water tank every 8.5 years on average. This comes out to 5.88 hot water tanks in the landfill. But since you can’t throw out a partial water tank, let’s round it up to 6. Six hot water tanks in the trash. If the same homeowner lives in his house for 50 years but chooses a tankless type heater, he will replace it every 17.5 years on average. This equates to 2.85 tankless water heaters in the landfill. Again, we round up…to 3. This is half the number of times that you need to replace your water heater. The tankless type heaters is starting to make a lot of cents and sense now, isn’t it? In conclusion, you are undoubtedly trying to be environmentally responsible. A tankless water heater is an amazing way to help you achieve that goal! In every respect, this method is environmentally superior! If your looking for more home ideas or garden ideas Click Here!